Muslim women have been warned to hide their hijabs and not to pick up their children from school alone ahead of the sick ‘Punish A Muslim Day’. One WhatsApp message explains the shocking letter in full, including details about the ‘points system’, reports the Mirror. 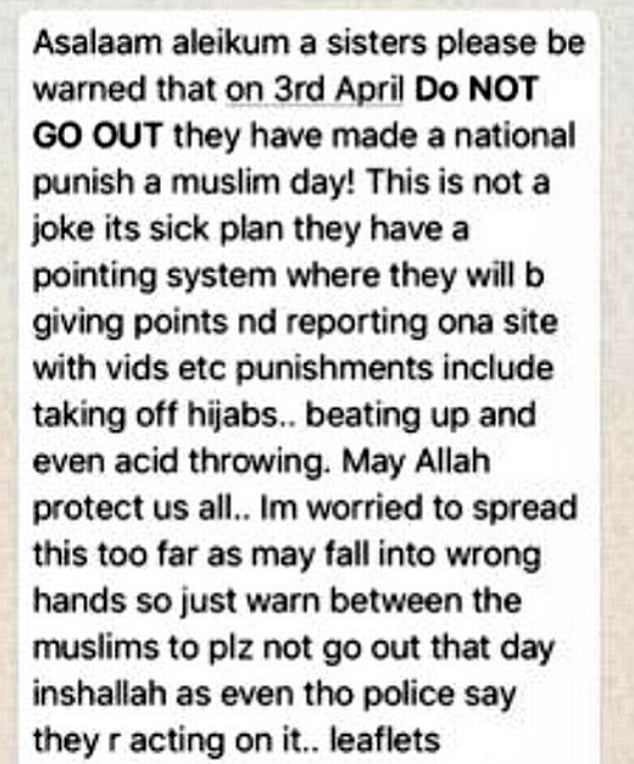 It reads: ‘This is not a joke its sick plan they have a pointing system where they will b giving points and reporting on a site with vids etc punishments include taking off hijabs…beating up and even acid throwing. 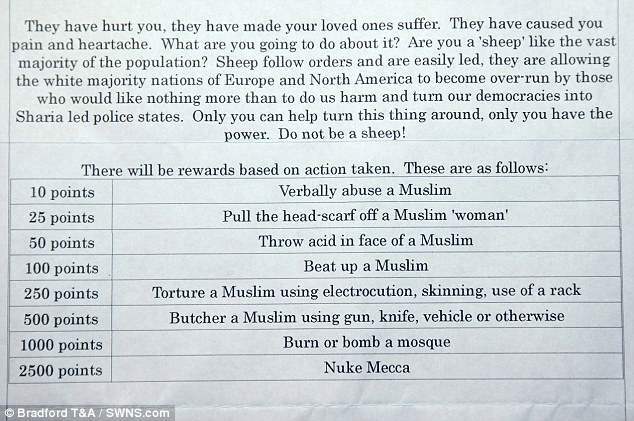 The horrifying points system detailed in the original letter said 10 points would be awarded if you ‘verbally abuse a Muslim’, or 2500 points for ‘nuking Mecca’. Other sickening acts included 50 points for throwing acid in a Muslim’s face and 1000 points for bombing or burning a mosque. 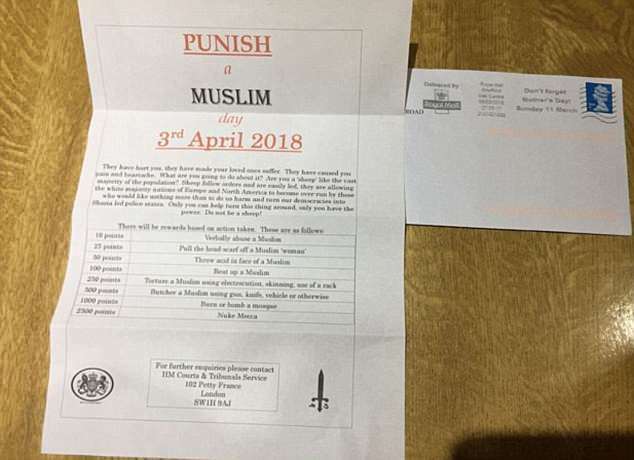 The message goes on to say that ‘even though police say they r acting on it.. leaflets have been posted thru doors in east London and kids have heard about it’. Last month the Counter-Terrorism Unit said in a statement: ‘Police are investigating a number of reports of potentially malicious communications sent to individuals across the UK. ‘Officers are currently investigating the full circumstances. ‘Counter Terrorism Policing North East are coordinating the investigation at this time and will consider any potential links to existing inquiries.